Above is the cover artwork for the remaster, as re-imagined by Rob Sheridan, NIN webmaster. Here's the original artwork. I'm kinda partial to the pink and turquoise combo, but it's a purely nostalgic thing. 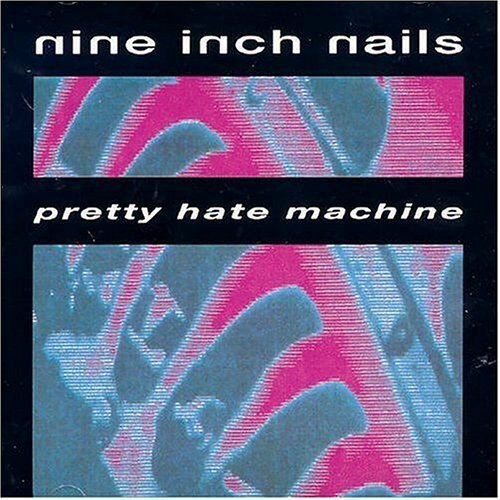 Pretty Hate Machine is my favorite Nine Inch Nails album, but the first album I ever owned was The Downward Spiral. Being that I just turned 32, I was in high school back when TDS came out... so PHM is actually a little bit before my time. Regardless, I quickly picked up on it, and it became my most favorite of all the albums to date. Could be because I'm kind of partial to the electronic beats and danceability of the overall sound... plus, it has so many great songs! "Head Like a Hole," "Down In It," "Sin," "Terrible Lie..." By the way, did you see that RockBand has a track pack you can buy from this album? 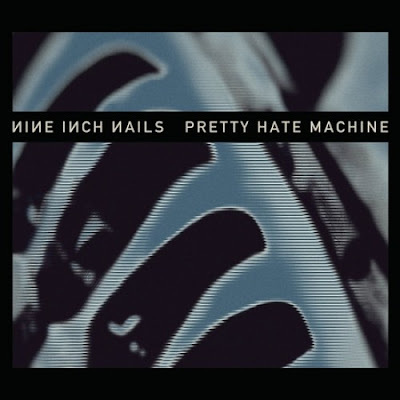 The remixed sound of Pretty Hate Machine is great. I'm not a sound expert, nor am I a music expert (in case you couldn't tell from my previous "Sound of..." posts and tendency to go off-topic...), but I know what I like. And what I love. And this is it. So, have a Hell Razor kind of day by blasting the album on REPEAT. And don't forget to close the blinds so the neighbors don't see you dancing all weird like that. Thanks.